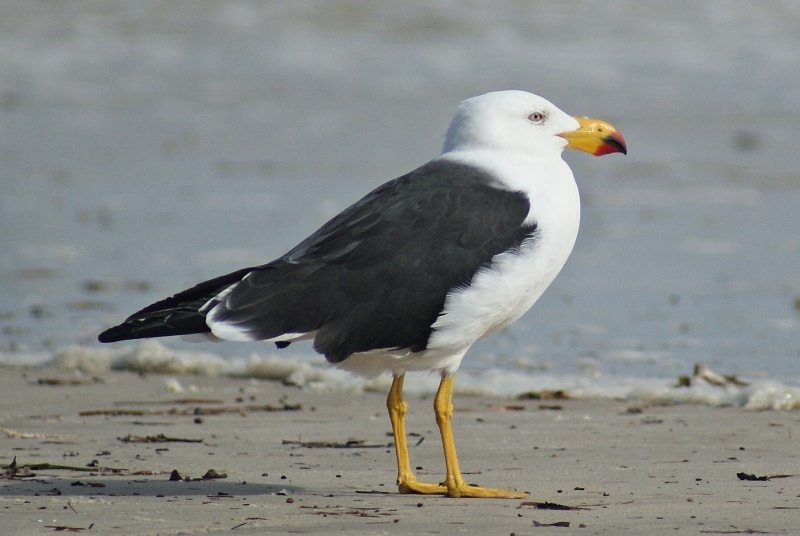 The Pacific Gull is the largest Australian Gull (length 58-66 cm, wingspan 1.3-1.5 m) as well as being endemic to Australia, with the slightly smaller Kelp Gull occurring over a much larger range (including New Zealand, South Africa and South America). 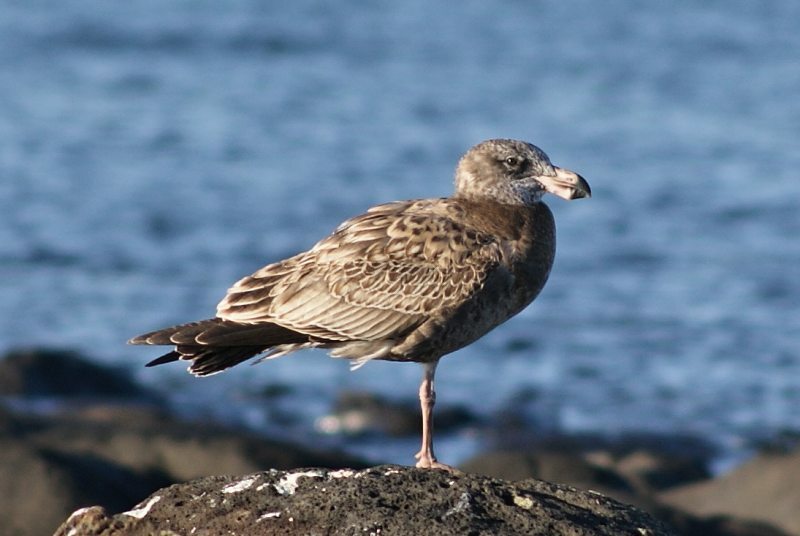 It is thought that the Kelp Gull is slowly pushing the Pacific Gull out of the south-eastern part of its normal range. 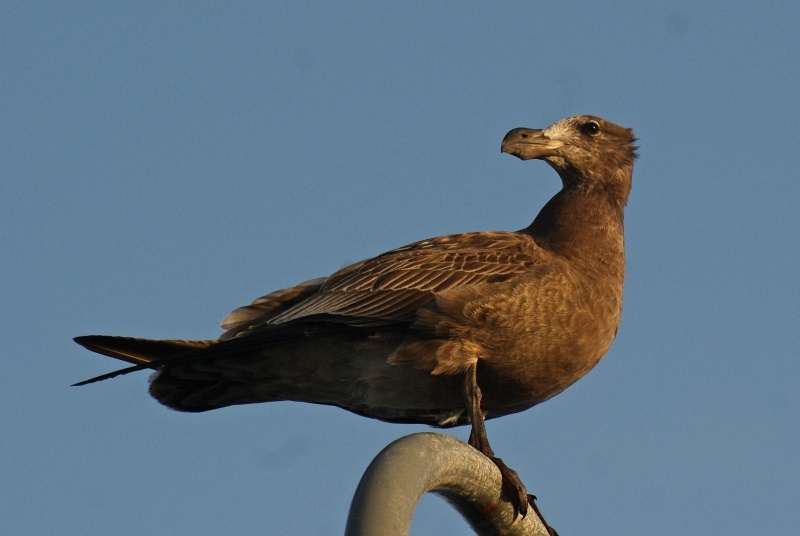 The Pacific Gull is easily told from the Kelp Gull by the enormous beak and by the black tail band present in adults. 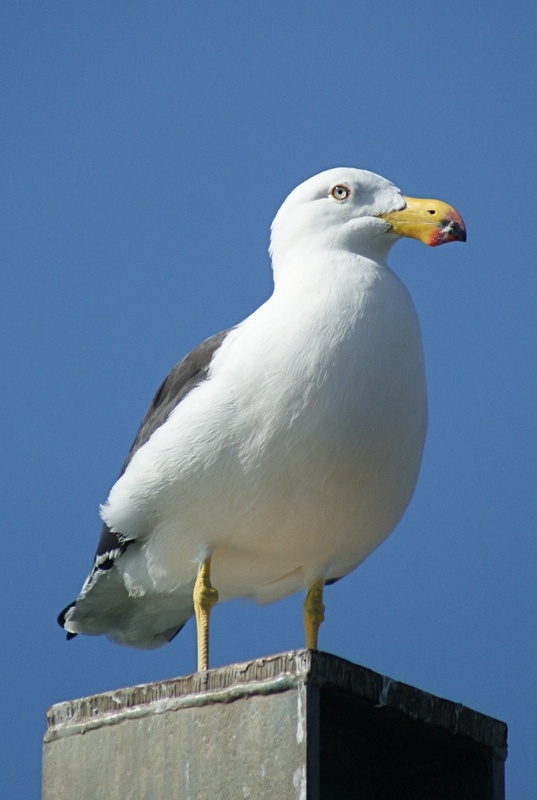 This is the gull from Finding Nemo which says 'mine', but is actually quite an uncommon visitor to Sydney. The first two photos are adults of the subspecies georgii, which is present from SA through to WA (WA birds have red irises). The third photo is a 1st-winter bird with some retained juvenile plumage (it takes four years or more to reach adult plumage) of the ssp. pacificus which occurs from Victoria to NSW. 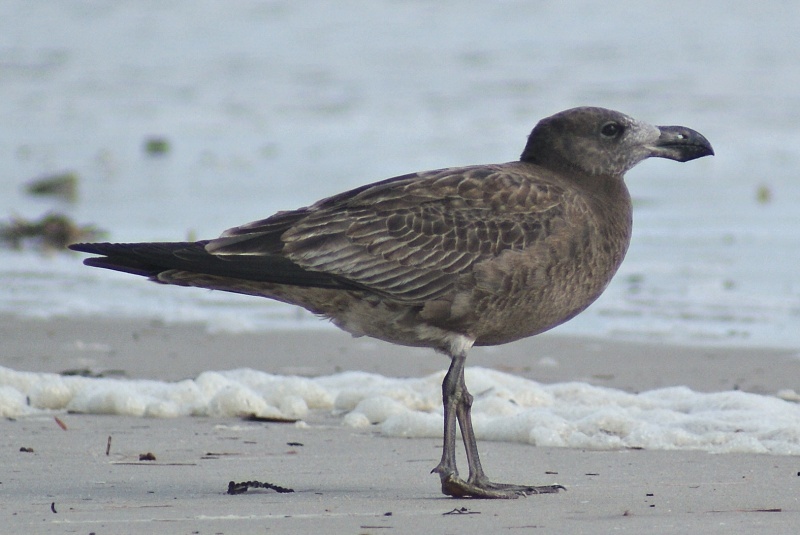 The last two are also 1st-year birds with retained juvenile plumage, both of ssp. georgii. Georgii birds have a blunter feathered area leading from the front of the head onto the beak (loral point) and a somewhat straighter beak with less curvature where the mandibles meet. Many thanks to Jeff Davies and David James with help on aging the younger birds and ID tips on differentiating the subspecies.